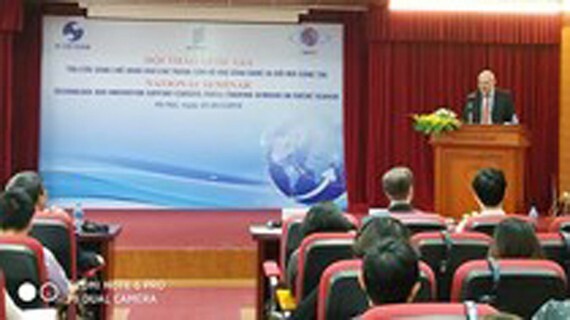 The Vietnam Academy of Science and Technology (VAST), the World Intellectual Property Organization (WIPO), and the National Office of Intellectual Property of Vietnam (NOIP) have just jointly held the national seminar ‘Network of Technology and Innovation Support Centers (TISC) Training on Patent Search’. This event aims at improving the skill to effectively exploit information on patent documents for the staff in research institutes and universities. In the conference, Mr. Phan Ngan Son, Deputy Director of NOIP, stated that the increasing number of Vietnamese patents as well as technology transfers is a positive contribution to the innovation capability of the nation. The TISC network was established based on a global TISC project launched by WIPO in 2009. Until now, 71 countries have signed an agreement with WIPO to develop their own domestic TISC network, including Vietnam. At the moment, NOIP is welcoming 35 members to participate in the TISC network, some of which are VAST, the Hanoi University of Science and Technology, the Vietnam National University – Hanoi, the Vietnam National University – Ho Chi Minh City, and certain research institutes, universities sited in the nation.